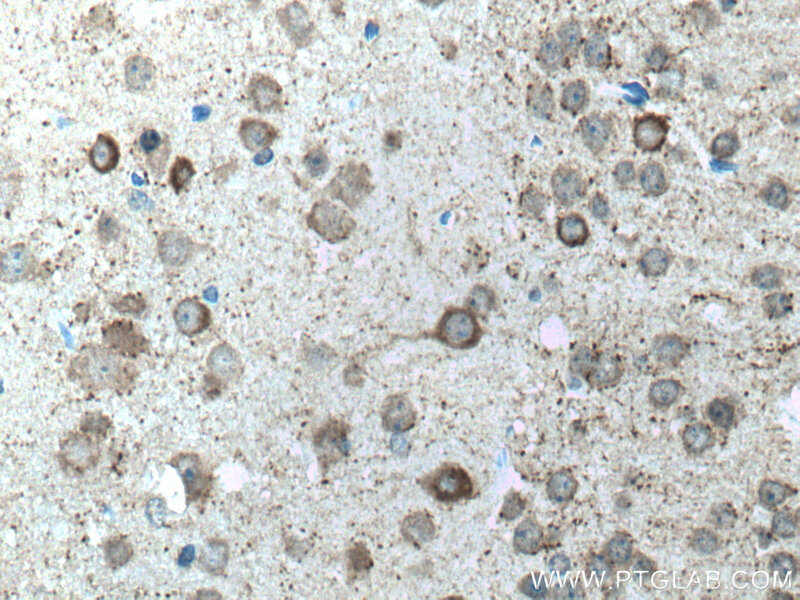 Immunohistochemistry of paraffin-embedded mouse brain tissue slide using 10408-1-AP (GAD1 antibody) at dilution of 1:200 (under 10x lens) heat mediated antigen retrieved with Tris-EDTA buffer(pH9). 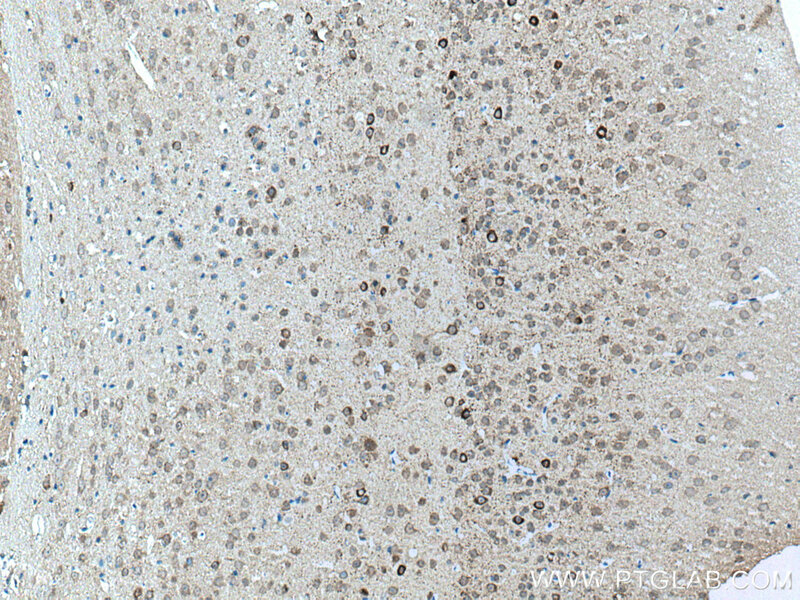 Immunohistochemistry of paraffin-embedded mouse brain tissue slide using 10408-1-AP (GAD1 antibody) at dilution of 1:200 (under 40x lens) heat mediated antigen retrieved with Tris-EDTA buffer(pH9). 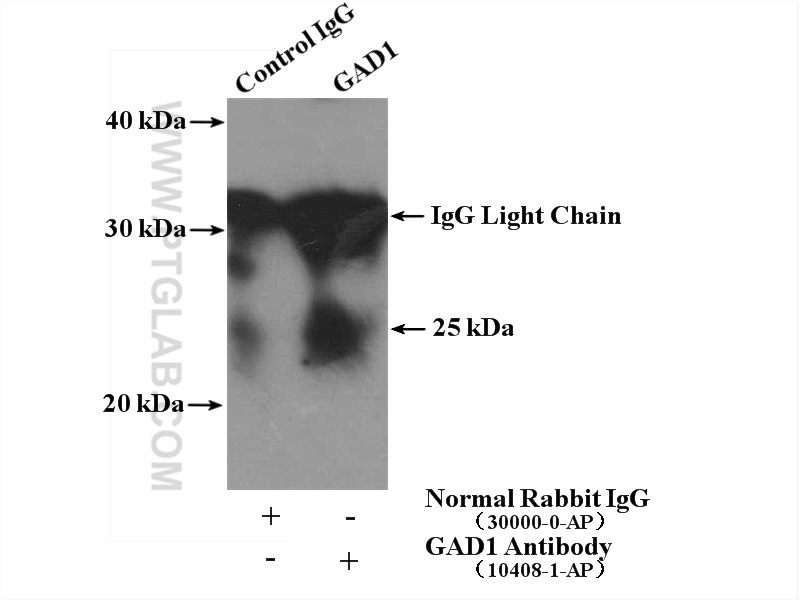 IP Result of anti-GAD1 (IP:10408-1-AP, 4ug; Detection:10408-1-AP 1:500) with HEK-293 cells lysate 3680ug. The GAD1(glutamate decarboxylase 1) gene encodes 67 kDa glutamic acid decarboxylase isoform (GAD67), the rate-limiting enzyme responsible for γ-aminobutyric acid (GABA) biosynthesis from glutamatic acid and the major GAD isoform in the human brain for early brain development(PMID:21302352). It is also potentially involved in variety of skin activities. It belongs to the group II decarboxylase family. c-Jun N-terminal Kinase mediates prostaglandin induced sympathoexcitation in rats with chronic heart failure by reducing GAD1 and GABRA1 expression. Renal Denervation Improves the Baroreflex and GABA System in Chronic Kidney Disease-induced Hypertension.